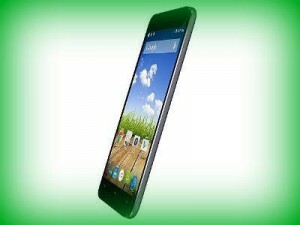 Micromax listed a new handset in the Canvas series on its official website. Though there is no official announcement about launching of the phone, it is available online for Rs. 6,499. Canvas Fire 3 comes with metallic finish and also has dual front speakers which is interesting about the new device. Ahmadabad: The latest handset in Canvas series of Micromax, Canvas Fire 3 comes with 4.5 inch display and the resolution is 540 x 960 pixels. It is powered by quad core MediaTek processor whose clock speed is 1 GB. Memory can be expanded up to 32 GB via micro SD apart from the 8 GB in-built storage. There is 5 megapixel primary camera and 2 megapixel front facing camera on board. The handset comes out of the box with Android 4.4.2 Kitkat operating system. The new mobile handset supports WiFi, Bluetooth and 3G connectivity. Other features are 3.5 mm headphones, FM Radio and micro USB charging. The handset comes with dual SIM capabilities. There is 1850 mAh battery under the hood. The battery is expected to deliver up to 7 hours talktime and 180 hours standby time. The handset also comes with many preloaded apps such as Opera, Swift Key, Snapdeal, Truecaller and so on. Micromax Canvas Fire 3 is now available on Saholic for Rs. 6,499. Free delivery is offered and cash on delivery is available. It is available in black color option. The handset can be purchased on EMI also that begins from Rs. 401 per month. Click here to buy. This entry was posted in Launches, Tech on June 8, 2015 by Rakesh.